Julius was trying his best to convince me and my buddy with a meal at a local McDonald’s store nearby, I told him I wanted to try out legit Balinese food. I won. We all won. 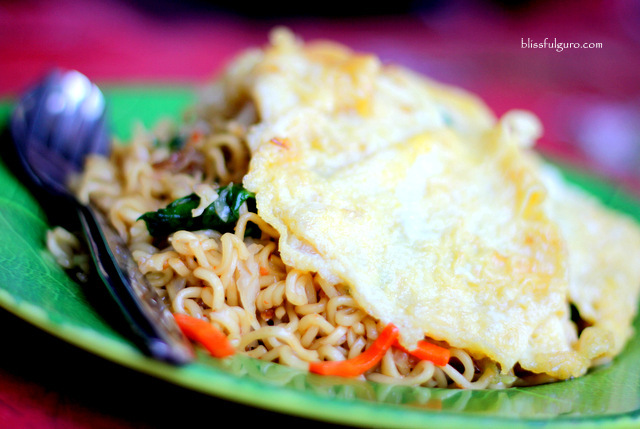 I went to Bali during our Southeast Asian Backpacking Trip armed with the knowledge that the National Food of Indonesia is Mie Goreng, our favorite dish while we were in Kuala Lumpur. Me and my buddy were so excited as we went out on our very first day (night, technically) but sadly, nothing can match what we had in KL. With that, we got the chance to try out some new food discoveries that are worth craving for. 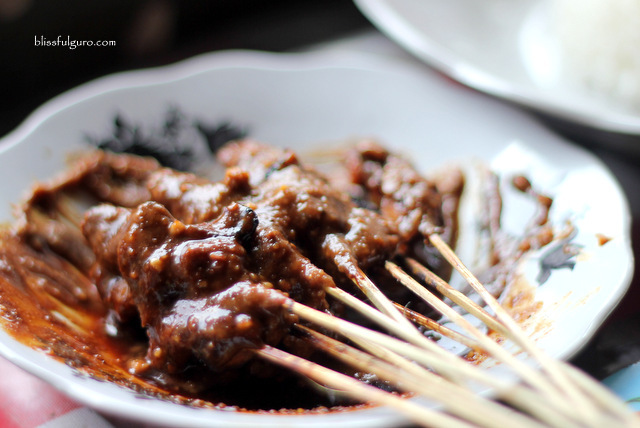 Here’s a list on my favorite Balinese dishes (check here for discounted tours, transportation and activities in Bali). Me and my buddies were staying at Rama Beach Resort & Villas in Kuta and decided to check out the beach scene at Kuta Beach. 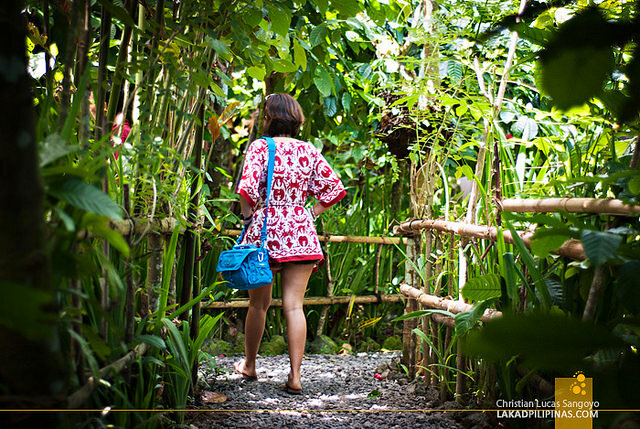 We easily grabbed a cab and immediately scanned the restaurants around but found nothing that could satisfy our cravings for local Balinese food. We went inside the fab gateway going to the beach and spotted some makeshift bars near the shore. A quick look and we realized that those umbrellas that swarmed the shore only serve beers and cocktails. We walked some more and saw some locals feasting on a warung (eatery) near the gateway, we immediately joined the flock. We were told that they only serve Nasi Campur in which they happily showed us. We paid 10,000 Rupiah (US$ 0.75) each for this surprise dish at the beach. We then settled on some lounge chairs under a shade and enjoyed the beach scene while waiting for our food to arrive. 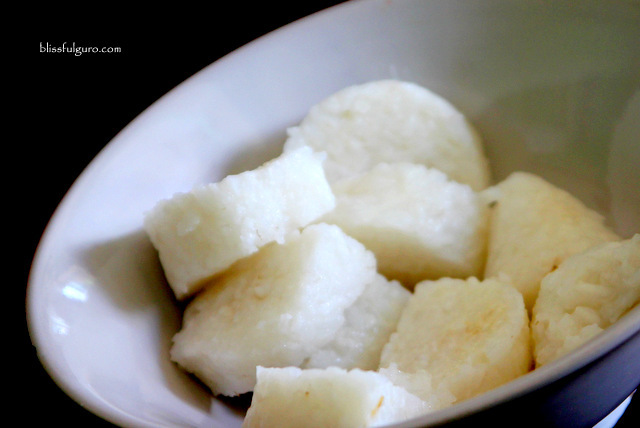 Nasi Campur (mixed rice) is quite popular in Indonesia. This dish is mainly served with a cupful of steamed rice with an assortment of dishes in small portions on top of it (meats, vegetables, peanuts, eggs and other stuff). There are quite a number of variations depending where it originates on the archipelago. 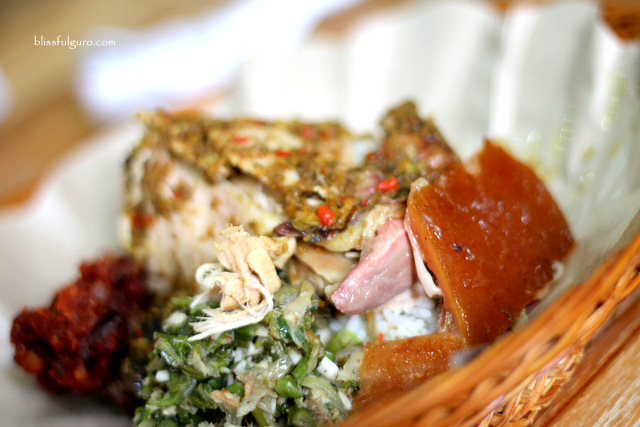 One of the famous is Nasi Campur Bali or simply, Nasi Bali. Our plate contained some vegetables, meat flakes, fried tempe (tofu) and some chili sauce smothered on top. We were handed our plates and we dug in instantly. I specifically wanted to taste everything in just one bite so I mixed a little portion of each dish and gobbled it down. And we all agreed that the meal was really good. The textures and flavors were complementary; no specific item was overpowering. After finishing our food (with thoughts of having another round) we grabbed some Bintang Beers 25,000 Rupiah (US$ 1.87 | small) and basked in that late afternoon sun at the Kuta Beach. Life is good, really good. This local dish was one of the must-try Balinese dishes according Julius, the best researcher in the world; well, no, just in our group. Haha . We had two different experiences with regard to this famous Balinese fare; one from a warung and one from a famous restaurant. Babi Guling or suckling pig is reminiscent of the Philippines’ lechon so we were thrilled to know that Bali has its own version. The preparation for this dish is quite tedious. The whole pig is stuffed with a spicy mixture of herbs and spices (turmeric, garlic, black pepper, lemongrass and other stuff) that saturates each and every part of the swine before it goes to the roasting pit. After our quick dip at Nusa Dua Beach, we went to the parking area where our private van from Bali Golden Tour was waiting for us. We saw a warung opposite the parking lot and after a quick scan of the menu list, we decided to get some Mie Goreng for 20,000 Rupiah (US$ 1.50). But when my buddy saw this nicely wrapped food on the tray, we instantly asked the hawker of this particular dish. Apparently it was Nasi Babi Guling (Roasted pig with rice) that was wrapped for single serving which retails at 25,000 Rupiah (US$ 1.87) each. We immediately grabbed some of those wrapped delights. It was as if we were opening our Christmas gifts when we got our own share of this happy food. The aroma was telling us that the dish was really spicy. I tasted a spoonful of steamed rice, crunchy skin and tasty meat and boy, it was awesome. The explosion of flavors was so great that we were all going crazy on that very first bite. My buddies grabbed some more packs and finished it in no time; they seemed to really love it. We heard that the best suckling pigs were at the charming area of Ubud in Central Bali. It was lunch time and we went into one of the most famed restaurants in town, the Ibu Oka Restaurant. The place was packed with hungry diners that were all craving for babi guling. We grabbed a vacant table and ordered their Babi Guling Spesial for 55,000 Rupiah (US$ 4.12) each. The food arrived in no time and as thrilled as our first ever suckling pig experience in Bali, we dug in to our plateful of happiness, or so we thought. Ibu Oka’s version was just ok, nothing to rave about. We were kinda expecting more and got disappointed for they have a steep price compared to what we had on the warung. Lesson learned; don’t expect. Ayam Goreng is basically your good old fried chicken, Ayam Satay, on the other hand, is grilled chicken smothered with some distinct peanut sauce (which I super love). When we were in Bali, we had some few stints with Ayam Goreng, but my favorite was from a warung in Kintamani while we’re doing our tours around Bali. We had to stop somewhere for a decent lunch. 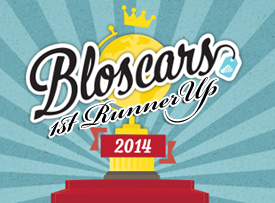 The restaurants near the area of Kintamani are quite costly because of it being a prime spot (Mount Batur viewpoint). 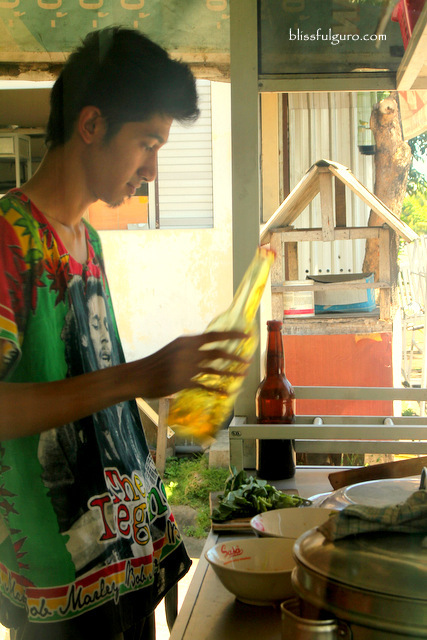 We then saw this unassuming warung somewhere and decided to try it out. We had Ayam Goreng for 20,000 Rupiah (US$ 1.50) each and Ayam Sate for 15,000 Rupiah (US$ 1.12) per order of five sticks. What I noticed was that the fried chicken wasn’t alone on the plate, there’s a cupful of steamed rice, some fresh beans and cabbage with sambal (chili) sauce and sweet tomato sauce on the side. I didn’t know the right way to eat so I just grabbed everything and tried to make it into mixed rice of some sort which actually worked well for me. The texture of the fresh veggies complemented the flavorful fried chicken. The tangy dipping sauce was also a hit. The best Ayam Satay ever! The Ayam Satay was also remarkable. I kept on acknowledging the perfectly grilled chicken and the yummy peanut sauce that made the owners (husband-wife tandem) very happy. I so love their version that it immediately became my favorite food find in Bali, I could hug the couple to bits for making it so good. 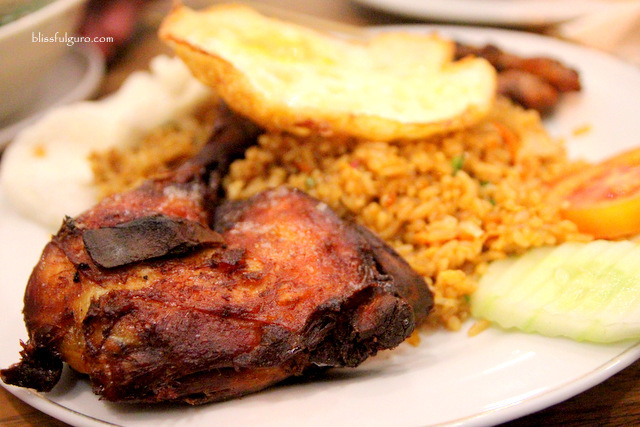 Nasi Goreng is a famous Malay-Indonesian dish which literally means fried rice. I love fried rice; anything that departs from the standard steamed rice is cool for me. 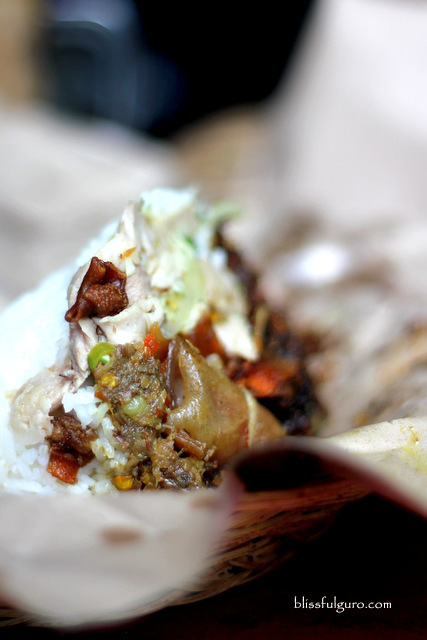 Dubbed as the National dish of Indonesia, we got to try out some good Nasi Gorengs around Bali. 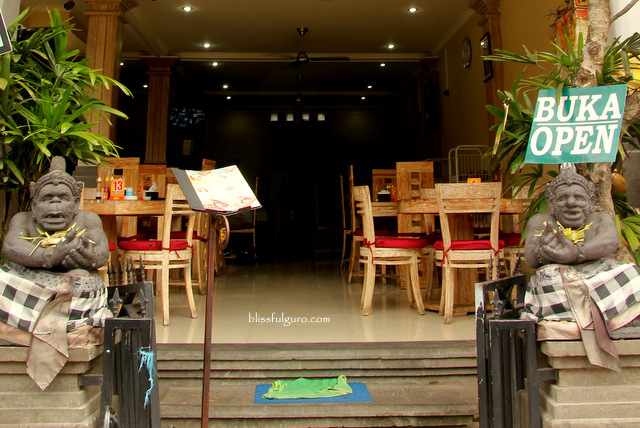 But one particular restaurant in Ubud stood out from the rest. Borneo 8 is a chain of eateries around Bali that serves traditional Balinese dishes; luckily, we got to try out some of their dishes on their Ubud branch. Choosing from an assortment of food choices, the group gravitated towards Nasi Goreng. We had Nasi Goreng Spesial for 43,000 Rupiah (US$ 3.22) each. The set meal includes fried rice, fried chicken, chicken satay, fried egg, sliced tomato and cucumber and krupuck (shrimp crackers). 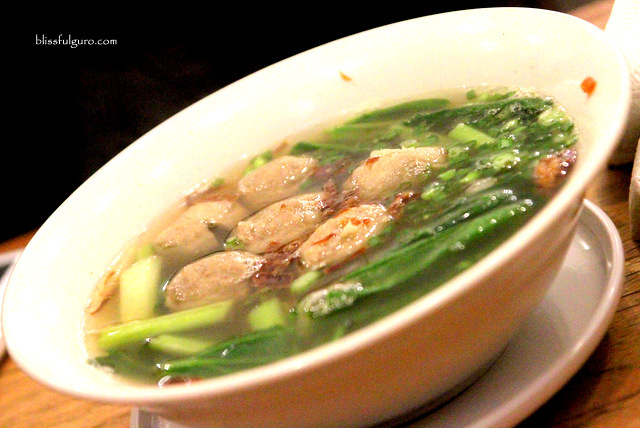 We also had a huge bowl of Bakso Sapi or Beef ball soup for 23,000 Rupiah (US$ 1.72). Nasi Goreng Spesial - yummy! The soup was really tasty and the Nasi Goreng was phenomenal. The satay was perfectly cooked (though I still love the satay we had at Kintamani) and the fried chicken was tasty. The nice combination of dishes in one huge plate was great. 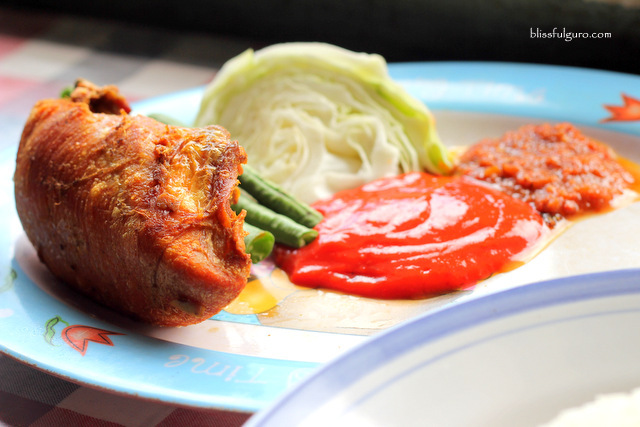 This is surely a must-try dish at Borneo 8. We were in the middle of our Bali temple tours when we got hungry. With no particular food cravings, we stopped by on a warung somewhere that serves noddle soup (the thought of having a bowl of hot soup that scorching afternoon was kinda weird but we were too hungry to check out some other places). 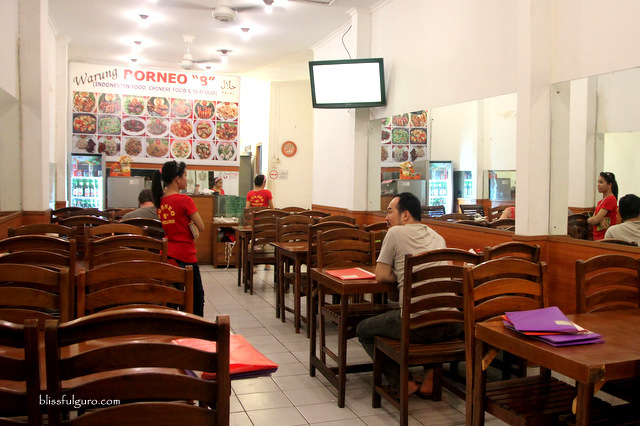 This specific warung only serves Mie Ayam Bakso for 7,000 Rupiah (US$ 0.52) each. 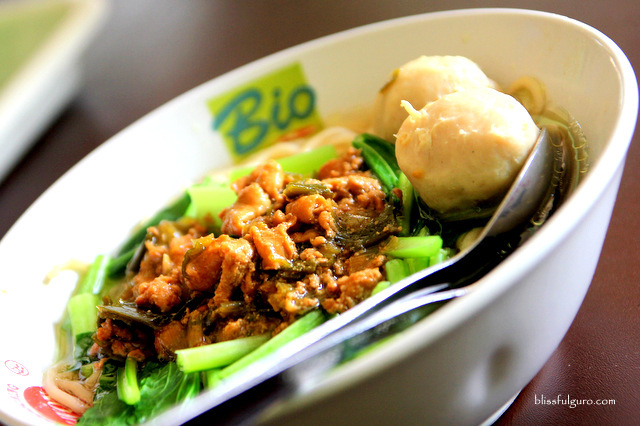 The dish which literally translates to Chicken egg noodles with beef ball soup is one of the famed noodle soup dish in Bali. We grabbed a few rice balls and some krupuck (2,000 Rupiah | U$ 0.15 each) and dug in. The rice balls can be dunked into the soup for a complete meal (only Asians would understand the idea of incorporating rice to noodle dishes). The soup was tasty but just ok. I love the krupuck though, it added some crunch into the whole dish. 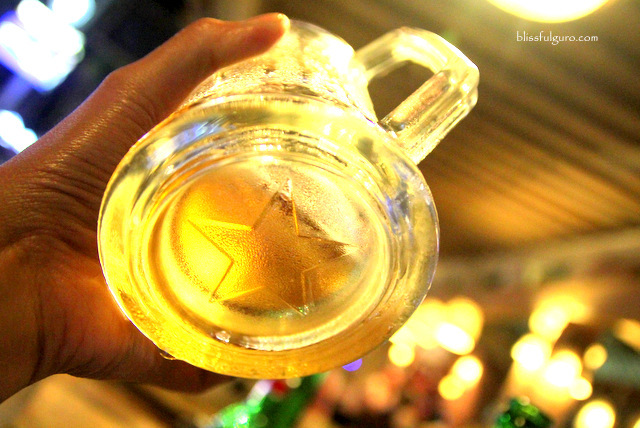 Bintang Beer is the world-renowned beer of Indonesia. Literally means star beer, the beer is styled as an American Pale Lager that has malt and hop flavors. The taste is just simple and you’ll get buzzed up after finishing three or four bottles (or depending on your alcohol tolerance). The 4.7 % alcohol content is the standard. I heard that you could not get higher than that on local beers. I did try arak (20 % to 50% alcohol content) from my diving stint in Candidasa and loved the pristine taste of the local wine. 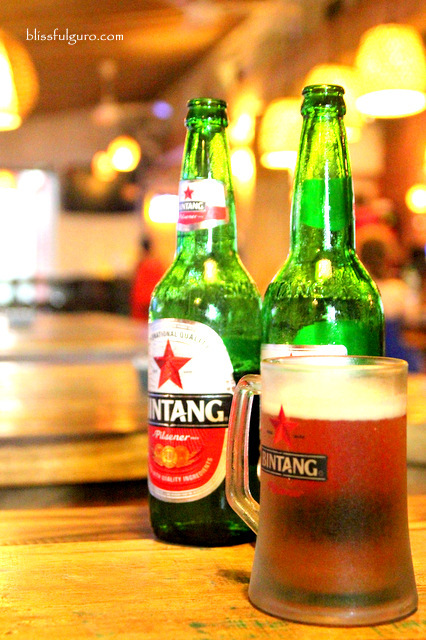 Late nights or even afternoon chill times were usually spent on guzzling some Bintang Beers. Depending on where you get it (standard store price ranges from 25,000 Rupiah | US$ 1.87 to 30,000 Rupiah | US$ 2.25), you’ll get the same beer flavor that everyone seems to love. We also scored some shirts with its the trademark printed on it –very Bali, I know. So there you go, our great gastronomic adventure around Bali. 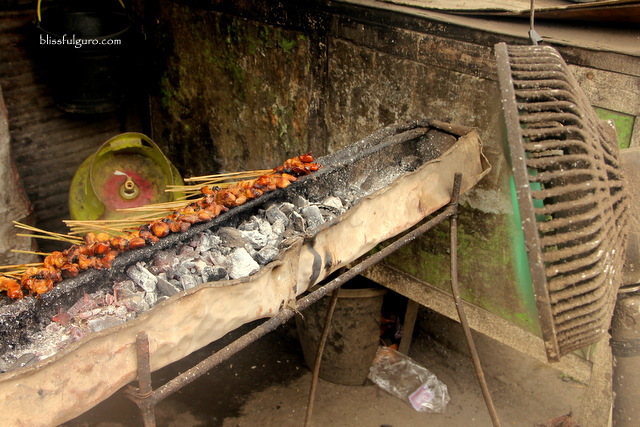 Bali is unique in Indonesia for its common belief in Hinduism thus; pork and beer are acceptable (unlike in most of the islands in the archipelago). 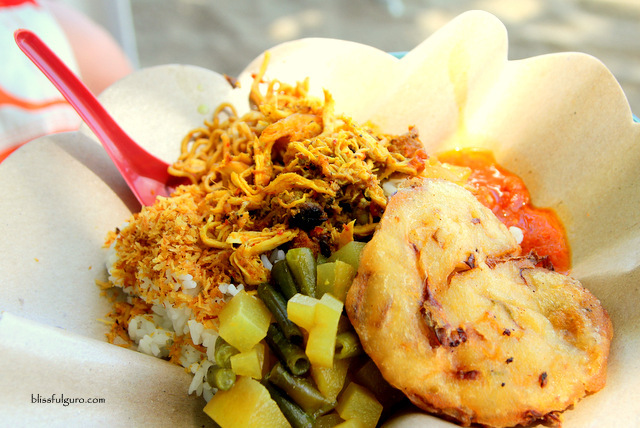 I would want to go back to Bali and just try out some more of their legit local chow that we missed. And the Bintang Beer, of course. Am surprised at how cheap their foods are.